The Face Hugger from Alien is a terrifying creature that springs out of the dark to wrap around your face and turn you into a living incubator. But in our version of the Xenomorph, he's just this side of adorable as he emerges from his egg, oozing green slime. 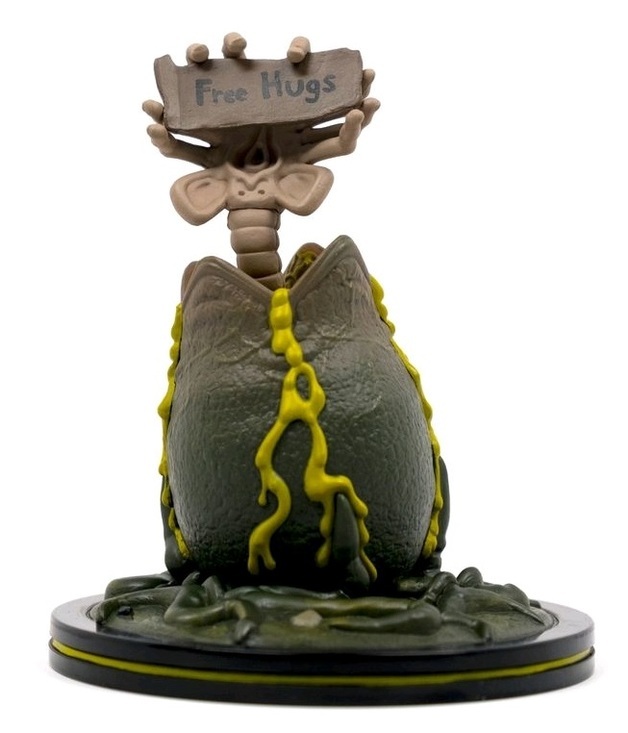 About 3.5 inches tall and sitting on an alien terrain base, the face hugger is holding a "Free Hugs" sign, letting you know that murderous alien parasites need love too.